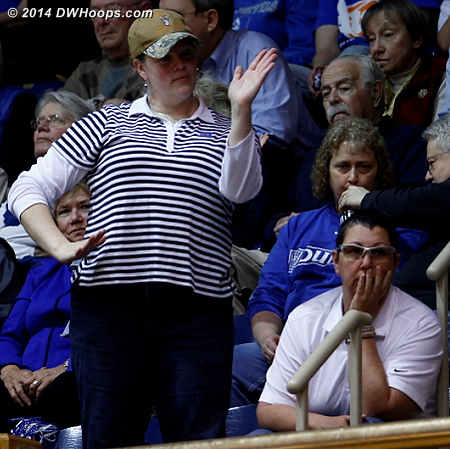 Public photos are below, still awaiting captions and tags. 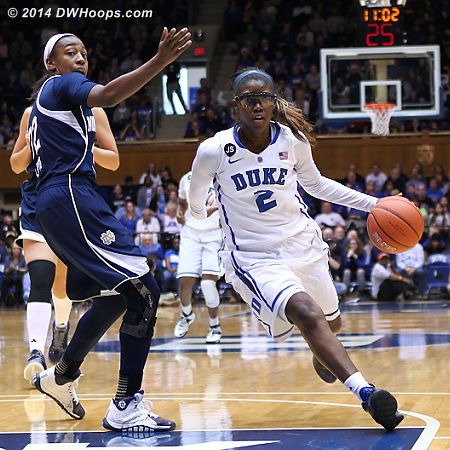 More photos are available to DWHoops members. 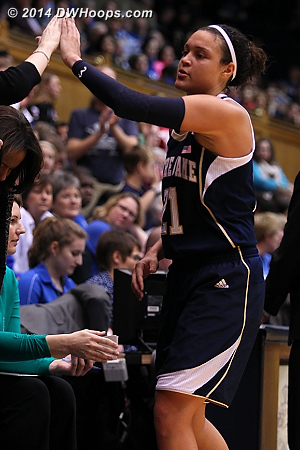 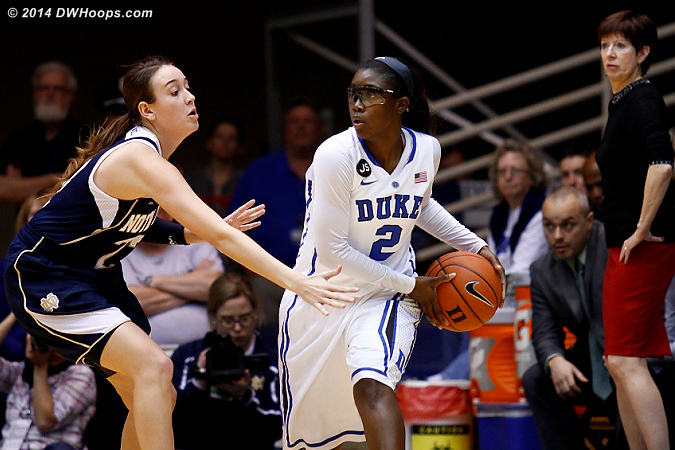 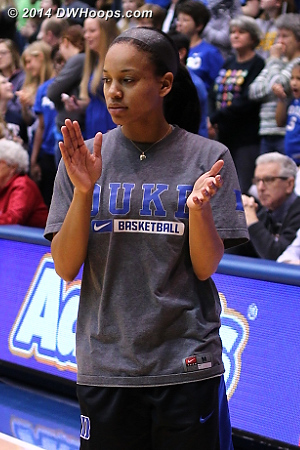 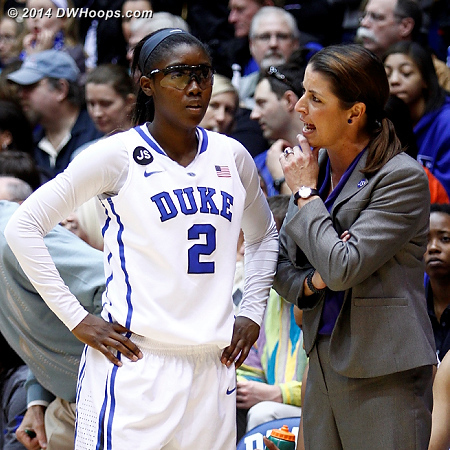 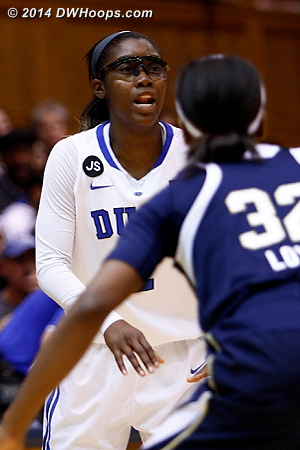 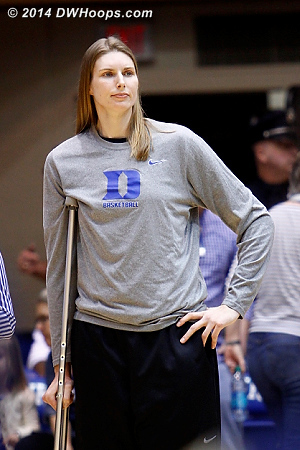 Alexis Jones wore protective glasses after being poked in the eye at Miami. 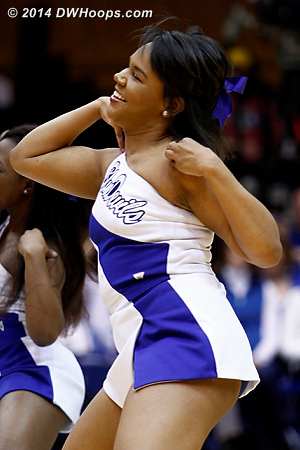 She'd soon shed them. 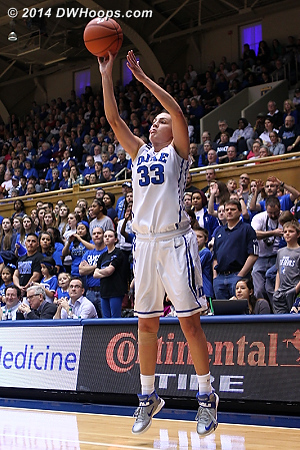 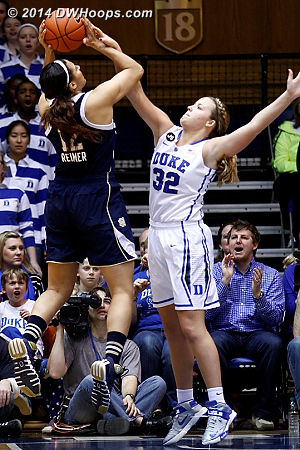 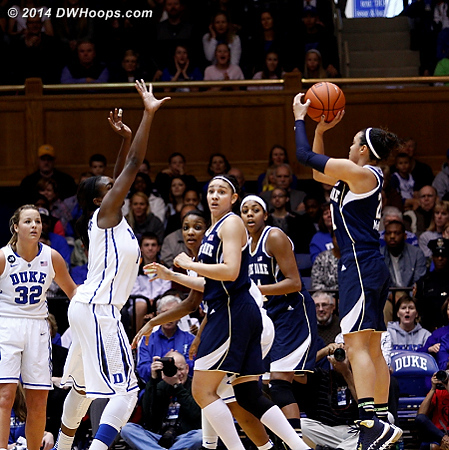 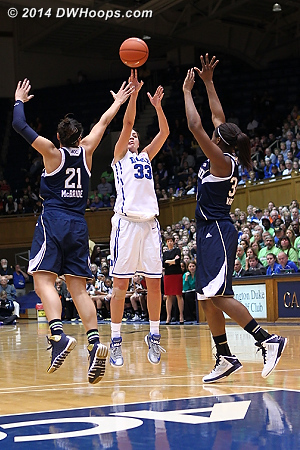 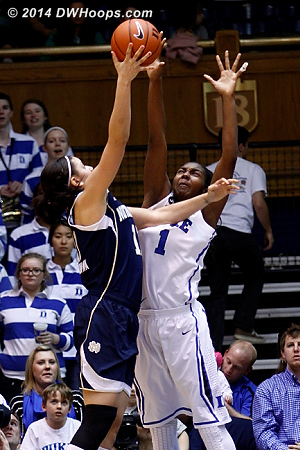 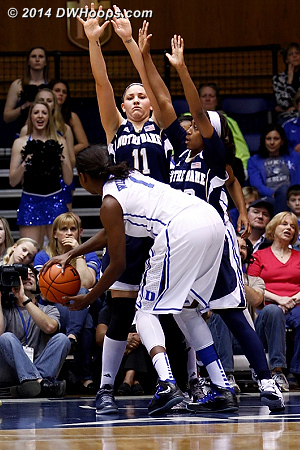 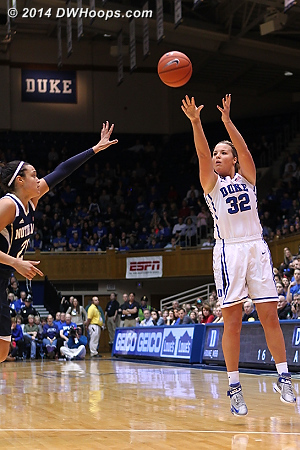 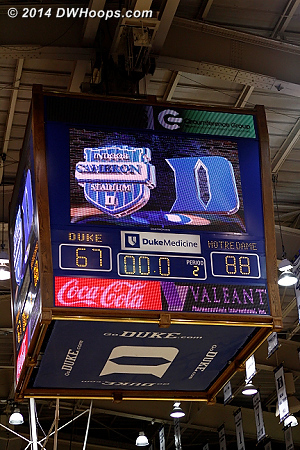 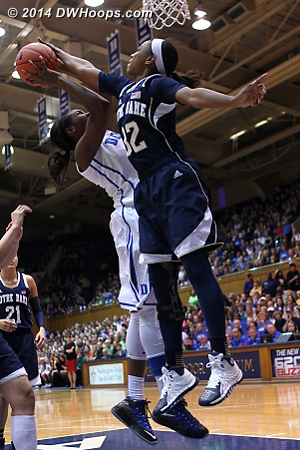 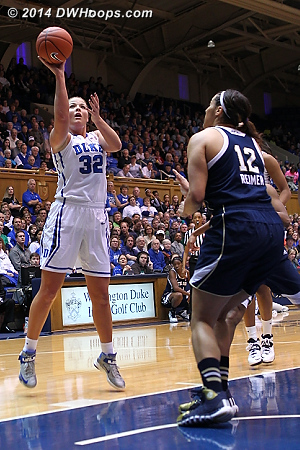 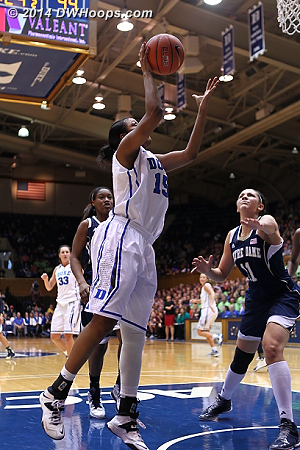 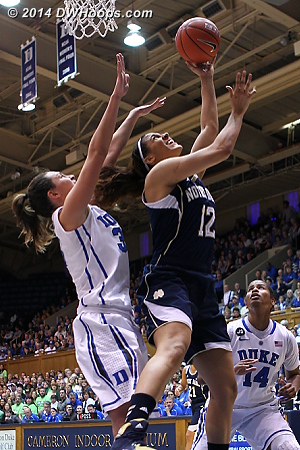 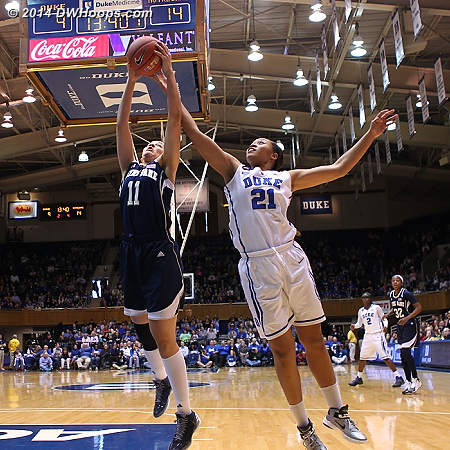 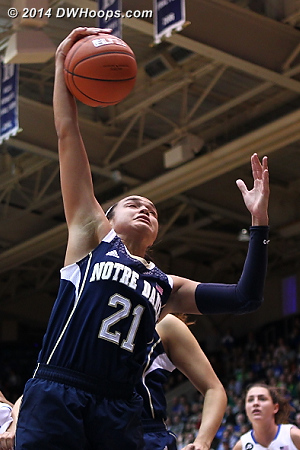 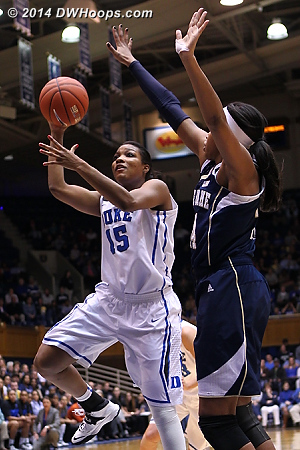 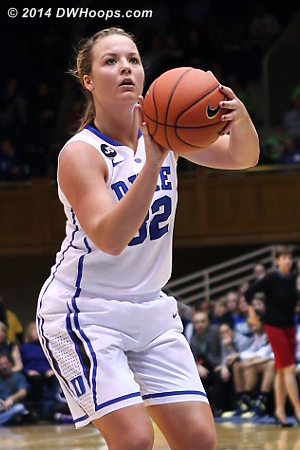 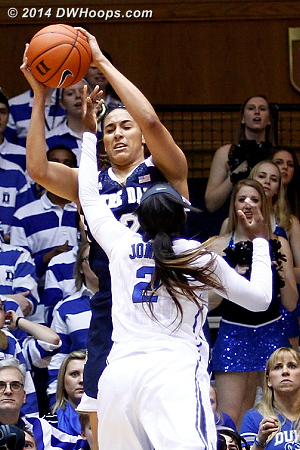 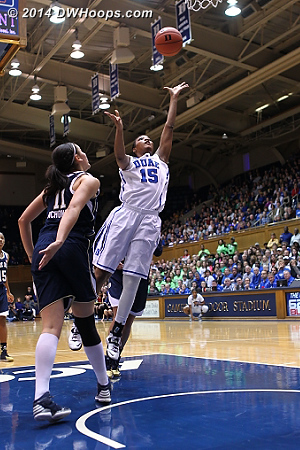 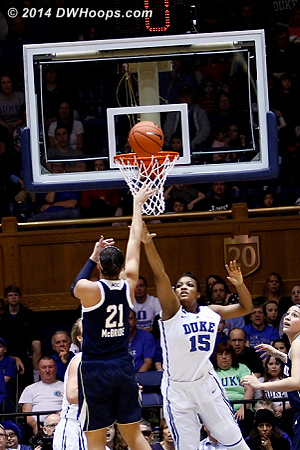 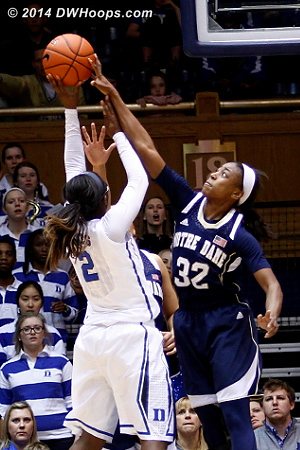 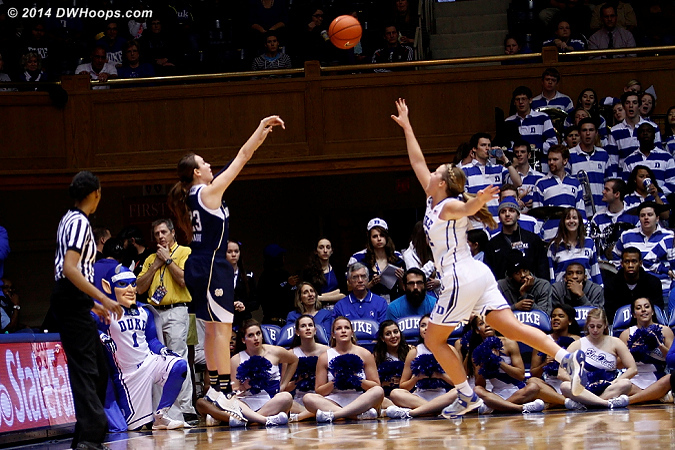 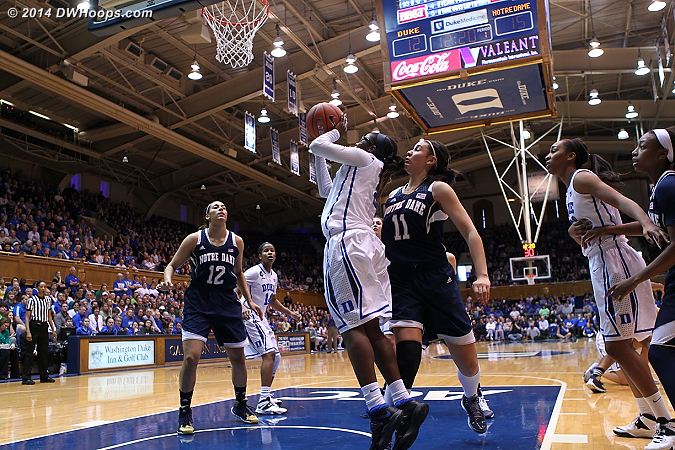 Elizabeth Williams just missed a block here, and her consecutive game streak in that category ended at 91. 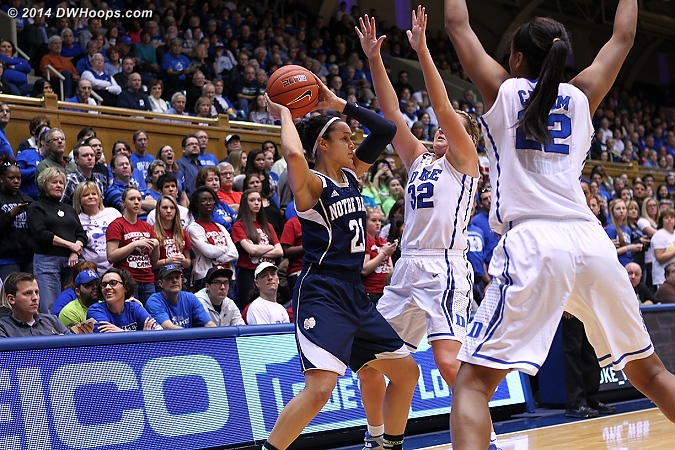 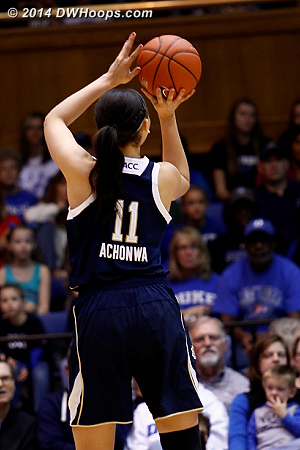 A traditional three point play for Richa cut it to twelve with 7:42 left. 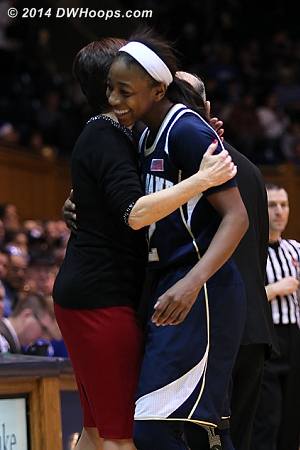 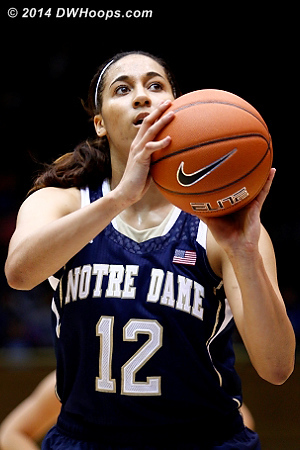 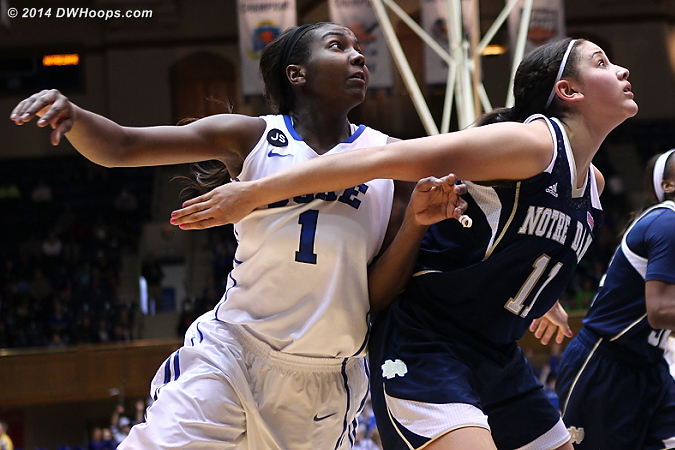 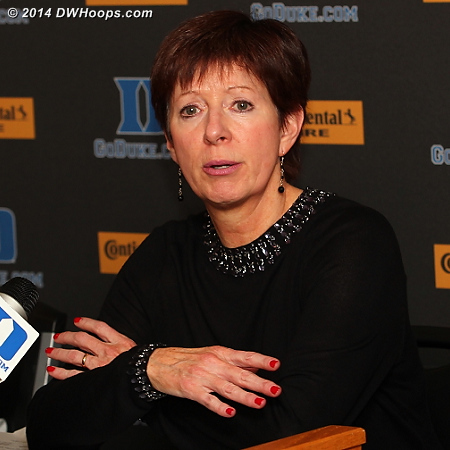 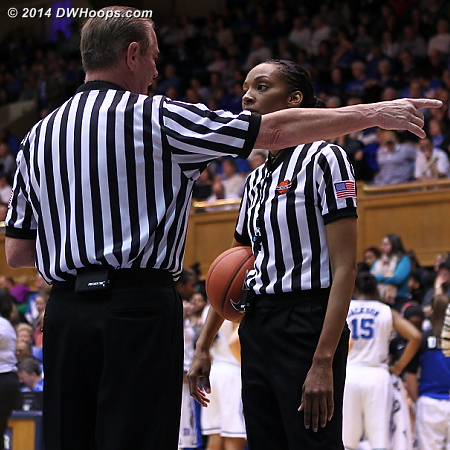 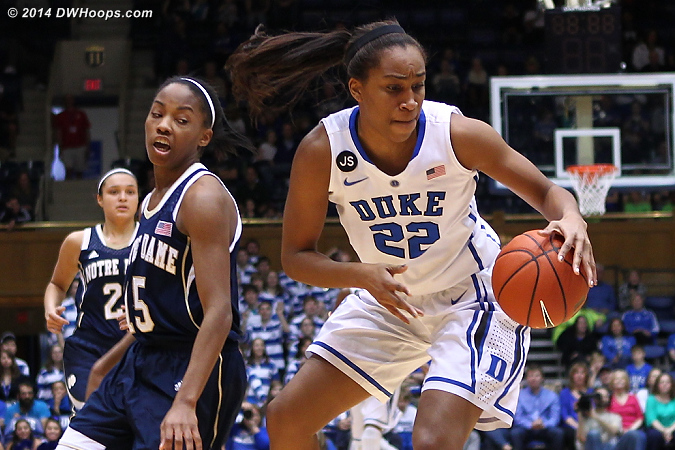 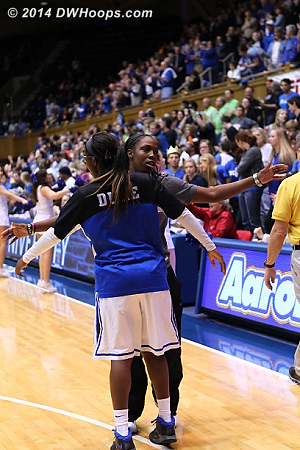 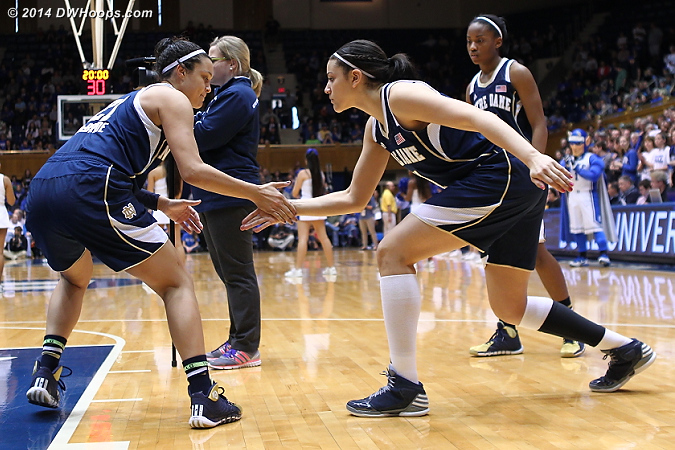 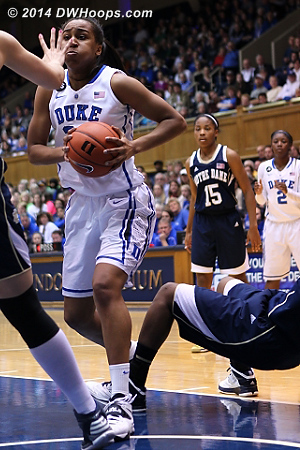 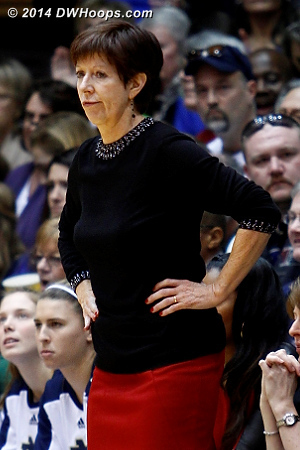 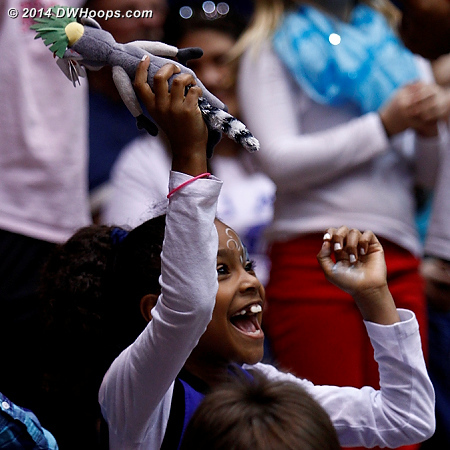 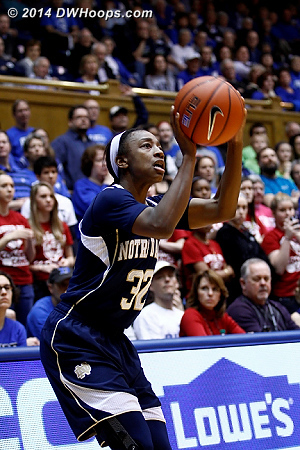 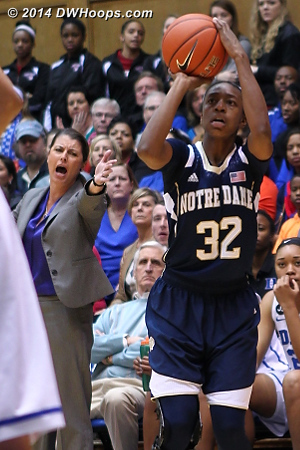 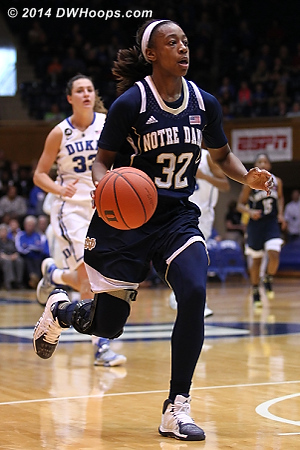 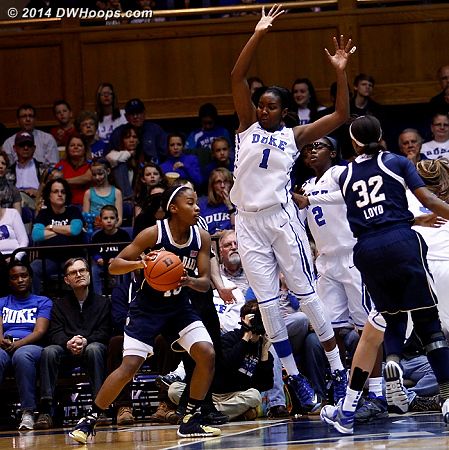 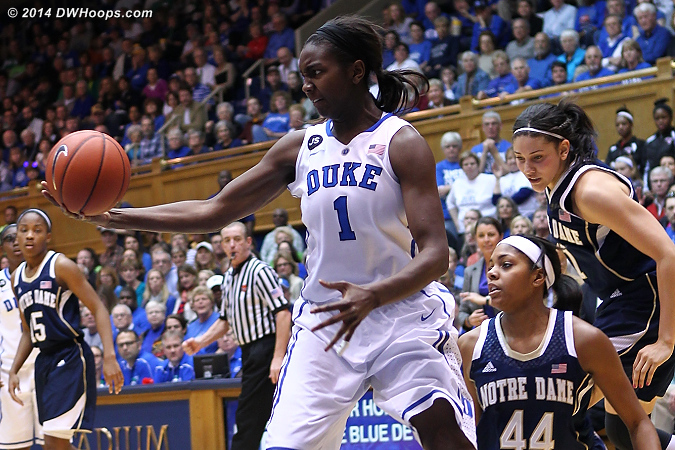 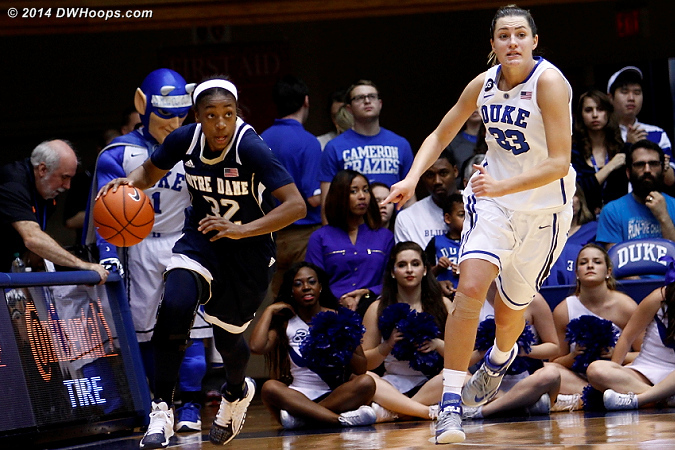 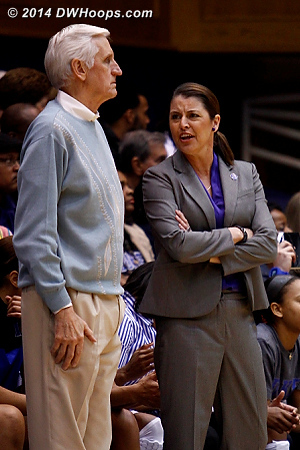 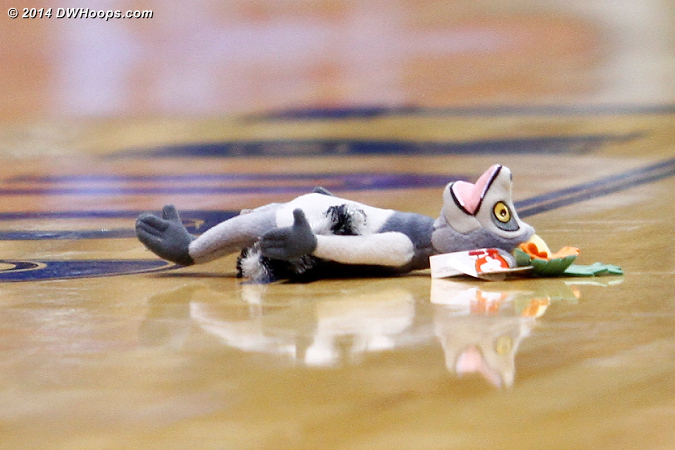 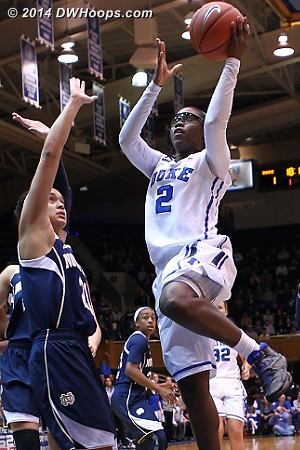 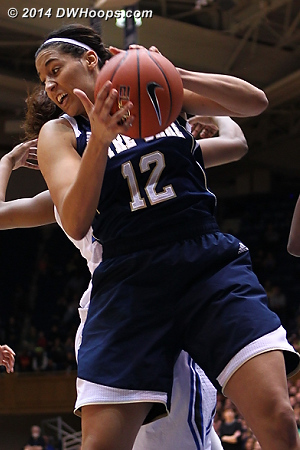 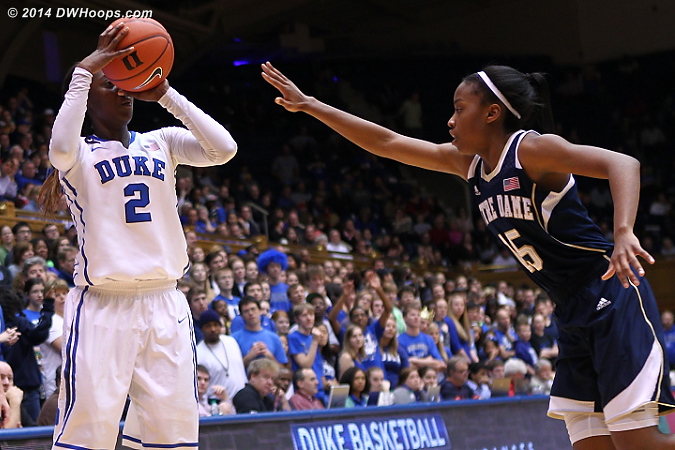 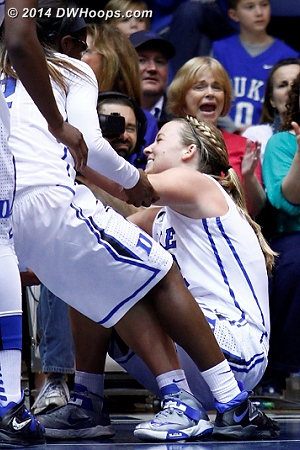 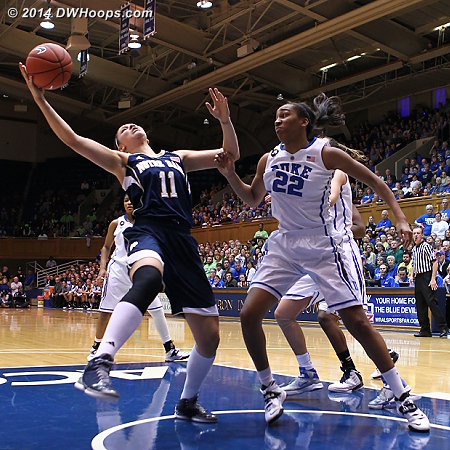 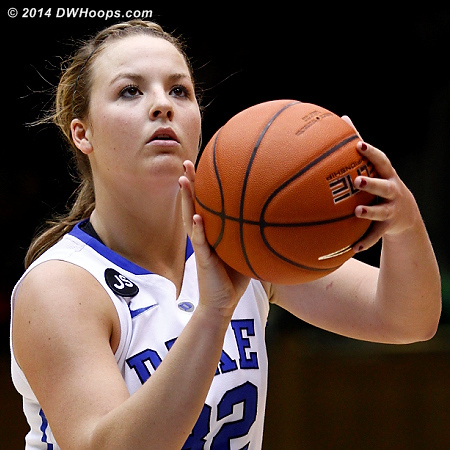 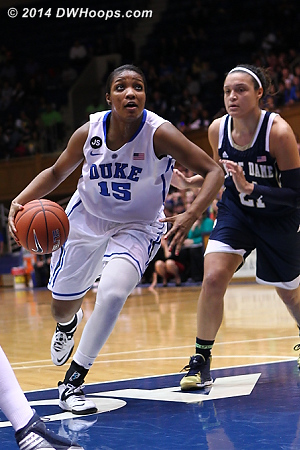 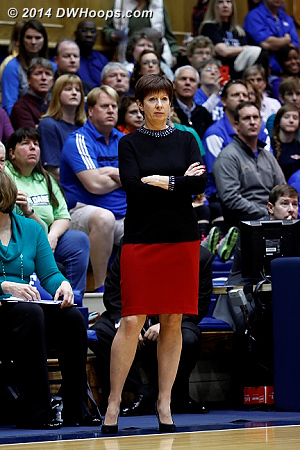 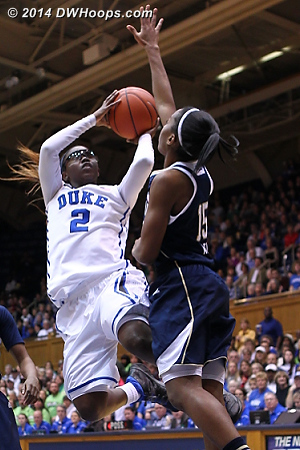 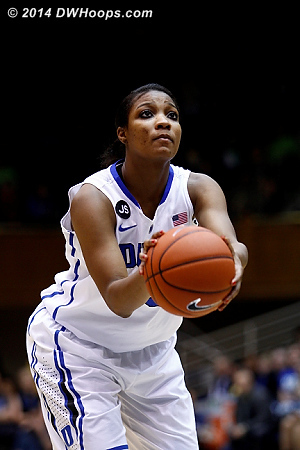 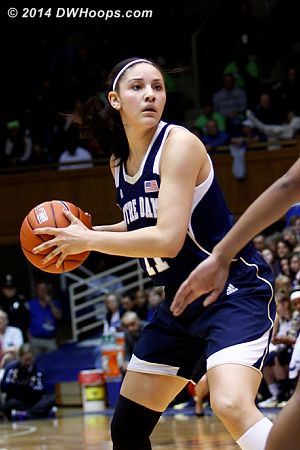 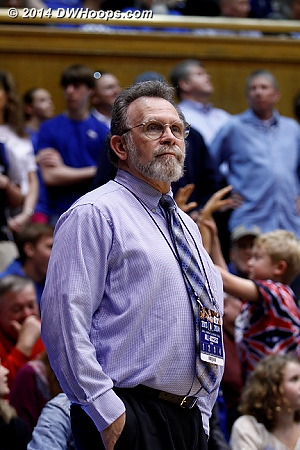 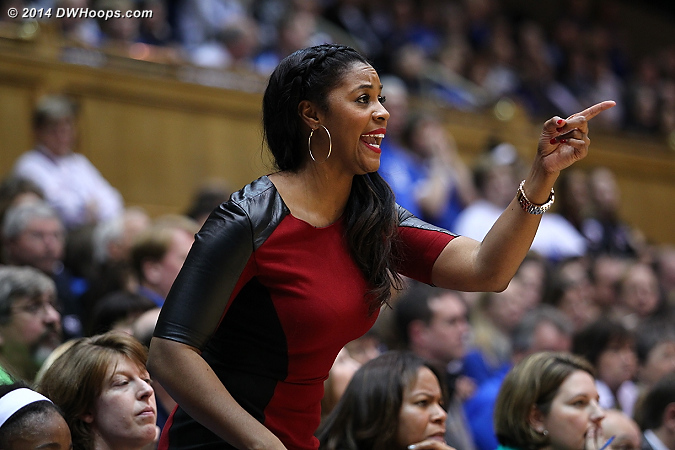 Williams would return with her four fouls at that point. 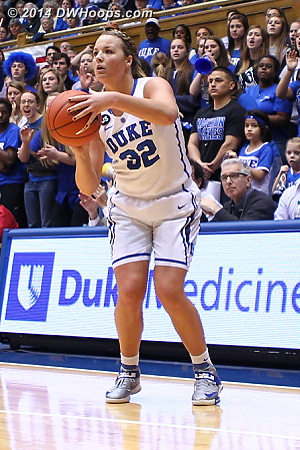 McGraw: "I was really pleased with the game, I thought we played real well offensively, I was a little disappointed with our rebounding..."